Logitech’s Powerplay technology was one of my favorite bits of hardware in 2017—a wireless mouse that actually charged without wires, thanks to a mousepad with built-in inductive charging. It’s so revolutionary, I assumed the competition wouldn’t be far behind. I was both right and wrong on that account. 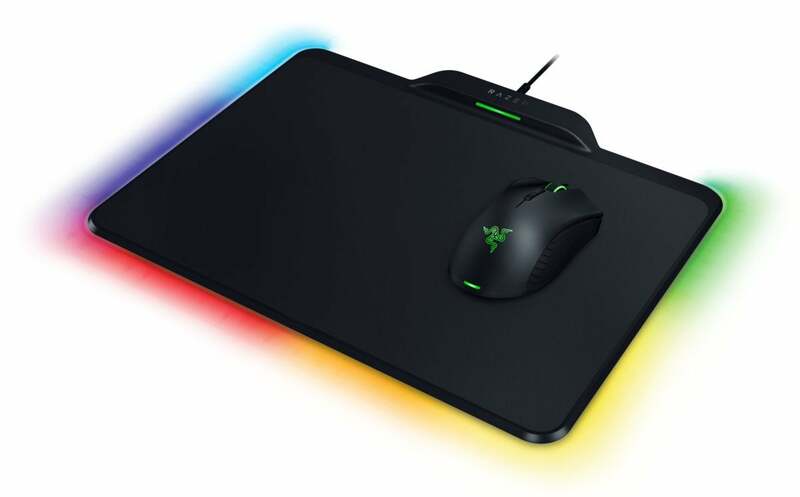 Today at CES, Razer announced a new version of its RGB-enabled Firefly mousepad, the Firefly HyperFlux. 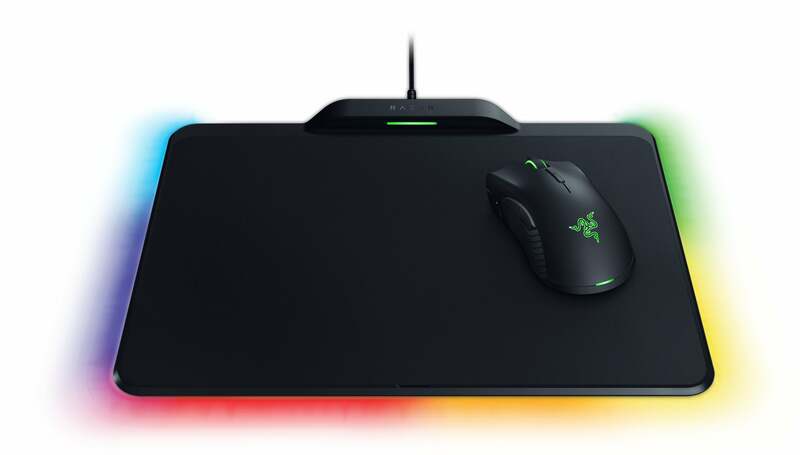 That “HyperFlux” surname is of particular importance, as it’s the name Razer’s given to its version of Powerplay—though there are key differences you should know about. Chief among them: HyperFlux has no battery. See, Logitech’s Powerplay uses what’s essentially just a normal wireless mouse, complete with battery. The G703 and G903 mice are both Powerplay-compatible, but you can also buy or use a G703 or G903 separately—they both ship with Logitech’s standard wireless mouse dongles, can be charged through USB like normal wireless mice, and store a charge if you take them off the Powerplay mousepad. Like Powerplay, HyperFlux transfers power wirelessly from the redesigned Firefly mousepad to a special version of Razer’s Mamba mouse. The similarities end there though, because where Logitech stores that power in a battery, HyperFlux simply powers the Mamba directly. Or as Razer puts it: It’s a wireless mouse with the weight of a wired mouse. That’s the main benefit. Batteries are relatively heavy, with both the G703 and G903 coming in over 100 grams as a result—107 and 110 grams, to be specific. And that's shockingly light for a wireless mouse. Most wireless mice come in around 120 or 130 grams. Some people—competitive gamers in particular—love lightweight mice though, with 100 grams commonly cited as a tipping point. That makes Razer’s new Mamba a potential winner, as it’s listed here at 96 grams. And for comparison, the current wireless Mamba (with battery) is listed as a whopping 125 grams, so ditching the battery’s saved Razer quite a bit of weight. But I’m curious to see how HyperFlux works day-to-day. I was skeptical of Powerplay before it released. “Could it really solve the charging problem for wireless mice?” And then it did, and I was bowled over. HyperFlux is similar in theory, but the lack of battery means we’re in uncharted waters again. For instance, there are certain areas of Logitech’s Powerplay mousepad where my mouse doesn’t receive a charge—mostly along the extreme edges and in the corners. The charging field also extends only a few millimeters at most above the mousepad, so I lose power whenever I lift and adjust the mouse. And that’s fine, because there’s a battery to fall back on. What happens in the same scenario with HyperFlux? Does the mouse lose power entirely? 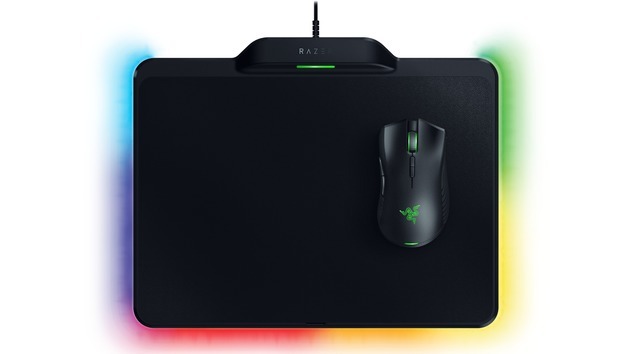 Or has Razer managed to extend the powered field across and significantly above the entire Firefly mousepad? An important question, and one I probably won’t solve until I’ve had some time with HyperFlux. I’m also curious to see whether I miss the wireless capabilities when I’m away from my desktop. With Powerplay, I just pack the G703/G903’s standalone dongle and bring it with me. With the HyperFlux Mamba, you’ll need to bring along a USB cable and use it wired until you’re back at your mousepad. Will that matter? Again, I don’t know. The most confusing aspect though is the price. I already thought Powerplay was expensive—it’s $100 for the mousepad, and then an additional $100 for the G703 or $150 for the G903. Expensive! I half-expected Razer to compete on price, especially since the Mamba doesn’t include a battery. No such luck, though. The Firefly HyperFlux and Mamba package lists for $250 flat, so not only are you not saving money, you’re actually spending as much as Logitech’s premium package. That seems pretty wild, considering Logitech gives you a standalone wireless mouse and Razer doesn’t. The G903 is also a more complicated mouse than the Mamba. My guess is that the RGB lighting in the Firefly pushed the price up. But hey, maybe HyperFlux is just that good. In any case, the HyperFlux-style setup seems to be the way the industry is headed. That’s why up top I said I was both right and wrong. Companies are competing with Powerplay, but they’re coming at it from a slightly different angle. Razer was actually beaten to the punch by Mad Catz last week, which announced essentially the same system (dubbed the RAT Air) so we now have two versions of this battery-free wireless concept. That’s enough to dub it a trend, as far as I’m concerned. Whether HyperFlux and Mad Catz’s solutions will be as seamless as Powerplay? Now that’s the question. We’ll keep you updated.